Online Roulette is a game of quick decision-making and thinking on your feet. 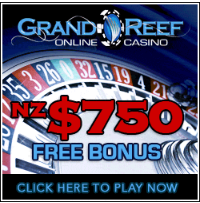 It has been around for centuries and continues to be a popular casino game. The lure of the spinning wheel and large crowds make it exciting for both players and those who like to watch. The roulette wheel is numbered from 1-36 with one or two zeros depending on whether you are playing the American or the European version. To win, players can bet on a single number, several numbers, a number sequence that includes red or black spaces and odd or even numbers. Payouts depend on the number of bets placed and the level of risk involved with each bet. Once all the bets are placed the casino staff member (called a croupier) spins the wheel and tosses in the ball. The rules of roulette are simple, wait until all the chips are cleared from the last betting round and a winner is declared before placing new bets and once the croupier announces that betting is over for that round, you must wait until the next round to place anymore bets or join the game. Roulette jargon can be difficult to understand, but after watching a few rounds the definitions will begin to sink in; the trick to figuring out the game is to pay attention to avid roulette players, who will be easy to distinguish from the novices in terms of their confidence and lack of hesitance. The object of the game is to guess where the ball will land after each spin. Then, based on the placed bets, a winner will be decided. While many people have strategies, it really is based on luck. There is no mathematical way of guessing where the ball will land but you may increase your chances of winning by placing many bets all over the wheel. Of course, this puts you at a risk of losing more money as well, but the risk is yours to take.